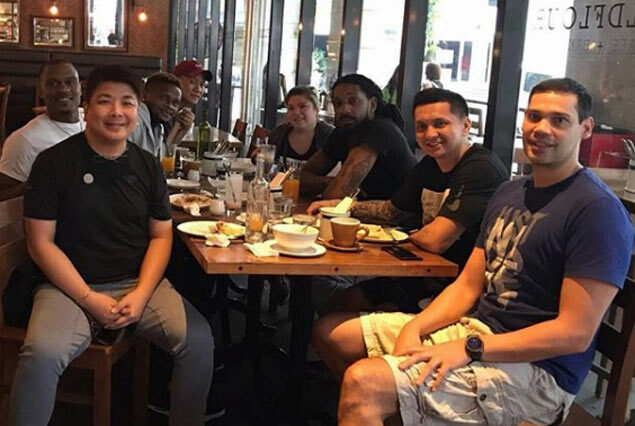 RENALDO Balkman and Justin Brownlee are ready to make their Asean Basketball League (ABL) debut on Wednesday when Tanduay Alab Pilipinas faces Westports Malaysia Dragons at the Filoil Flying V Centre. Game time is at 8 p.m.
Alab hopes to overcome a slow 1-3 (win-loss) start to the ‎2017-2018 season in making the import overhaul during the holiday break, bringing back the controversial Balkman and Brownlee. Balkman is a bona fide internationalist after playing in the NBA and the Puerto Rican national team. He, however, was banned in the PBA for life in 2013 after a choking incident with Petron teammate Arwind Santos. Brownlee, meanwhile, played for Barangay Ginebra, leading the crowd favorite to two straight PBA Governors' Cup crown. Alab coach Jimmy Alapag said the change was necessary after deciding to part ways with Reggie Okosa and Ivan Johnson suffering from back spasms as the PH team couldn't risk playing with a hobbled import. With two new imports, Alab hopes to ride on its 78-61 victory over the Formosa Dreamers last December 16 to finally come up with a winning streak this season. Bobby Ray Parks Jr. and Josh Urbiztondo are also expected to help in the offensive load of Alab against the Dragons, who recently signed up last year's steals leader Fil-American Joshua Munzon.